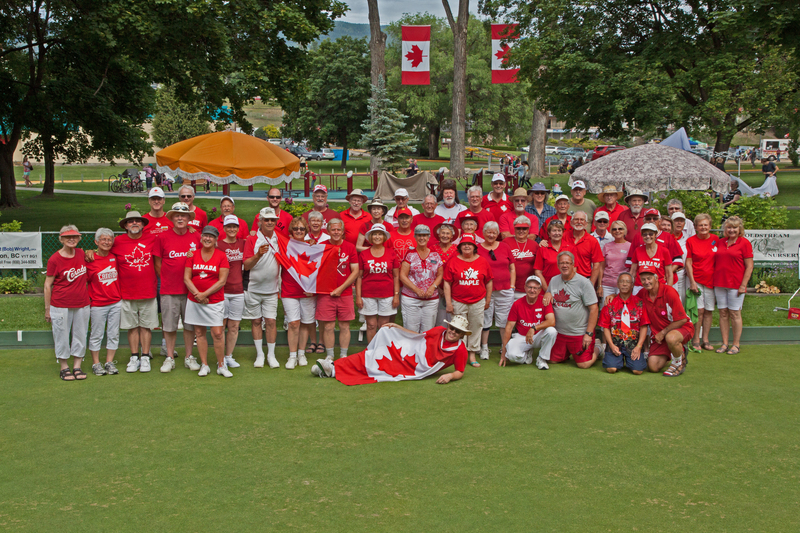 The Vernon Lawn Bowling Club was host to its 18th Annual, Funtastic Mixed Triples Lawn Bowling Tournament held over the Canada Day long weekend, July 1st – 3rd, 2016. Sixteen teams participated in the event this year which allowed a change in format for the Flight Finals. The tournament opened on Canada Day, and our competitors and volunteers showed their Canadian Pride by wearing our National Colors on the Opening Day of play, July 1st. It is truly a glorious site to see the sea of red and white on our greens along with the sights, sounds and activity coming from the celebration events taking place in Polson Park. The weather cooperated throughout the weekend play and the greens were in tremendous condition. Our thanks go out to all who participated and/or supported this event, in addition to all the local businesses who donated to our daily Prize Table. t\ The “sUccess” of this event would not be without “U“! This tournament has truly become one of the most prestigious events to participate in within the Interior Division of Bowls BC. If any of you would like additional information with respect in addition please feel free to contact the undersigned.